Yesterday I dragged my poor long-suffering husband out for a bracing walk round Queen’s Park, to make the most of the lack of rain. 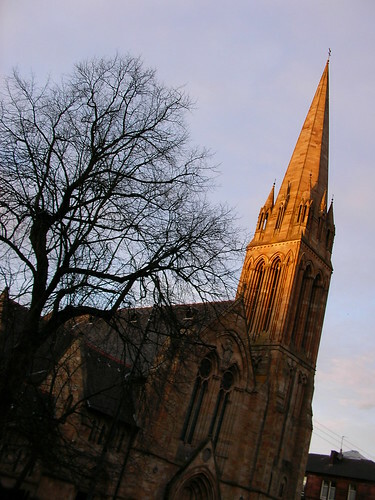 The sky was a lovely blue and pink, and I loved the light as it fell onto the spire of Queens Park Baptist Church. Don’t let the sun and blue sky fool you though. It is COLD! 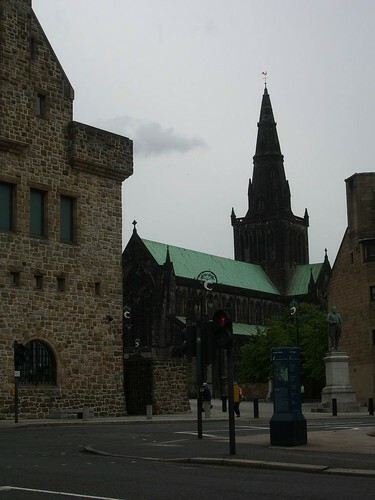 This is Glasgow Cathedral, with the Museum of Religious Life on the left hand side. 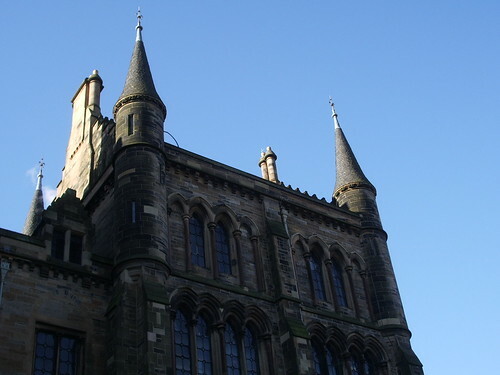 The lamps with what look like white crescents are actually showing the Glasgow coat of arms (the white crescents are the fish). Not far from the old bridge is this clock tower – I’m afraid I don’t know anything about it so can’t say anything learned about it! 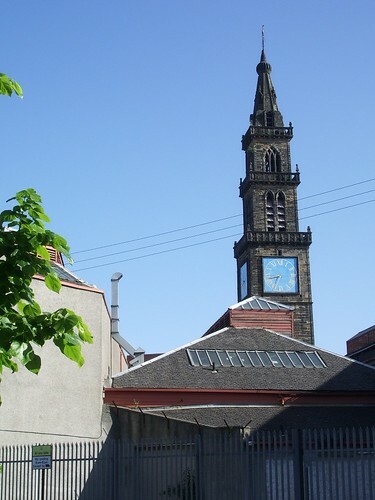 It reminds me of the Tollbooth Steeple on nearby Trongate – the colour of both the stone and the clock are the same. 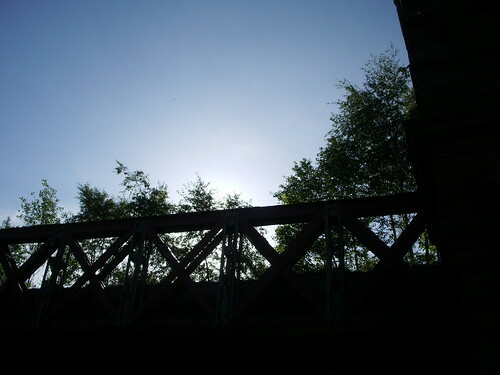 A final picture for now of the old bridge, which I gather from one of the comments on a previous post is still used to carry freight (though I wasn’t aware of this – you can see how overgrown the bridge has got so I was surprised that anything is still able to move along the tracks!). This picture was taken mid-morning – I just happened to get the right angle at the right time. 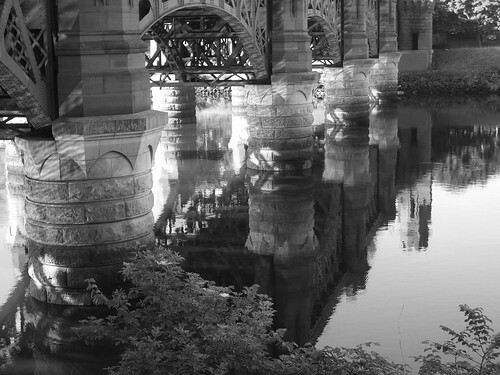 This is the previous bridge, reflected in an unfeasibly calm river Clyde. I don’t think I’d ever seen it so calm. 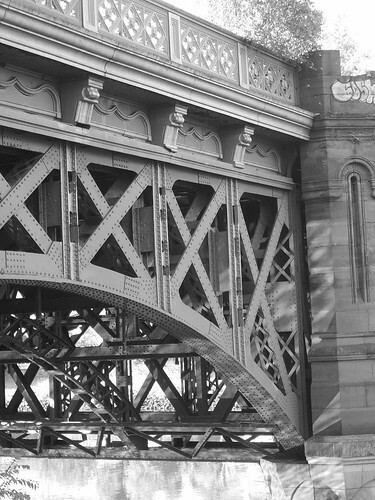 This old and now defunct bridge is over the River Clyde as it heads towards the east end of the city. I loved the old ironwork, they don’t make them like they used to. 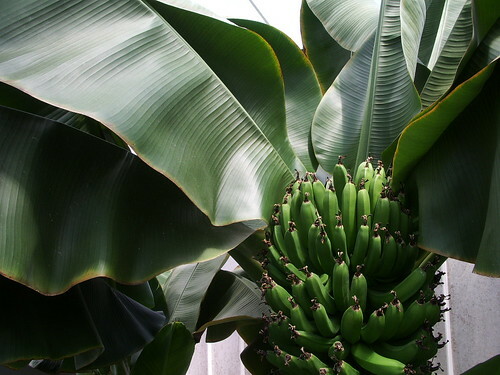 This banana plant is in the glasshouse in Queen’s Park. You can’t really tell from this, but those leaves were absolutely enormous. Another old photo – it’s been 2 weeks since I left the university and started my job in a less aesthetically beautiful part of the city, and it feels like forever ago. So I am posting this as much for nostalgic purposes as anything else. (I’m worried I’ve shown this photo before, but if I did it was ages ago). The sky hasn’t been this colour for a while! 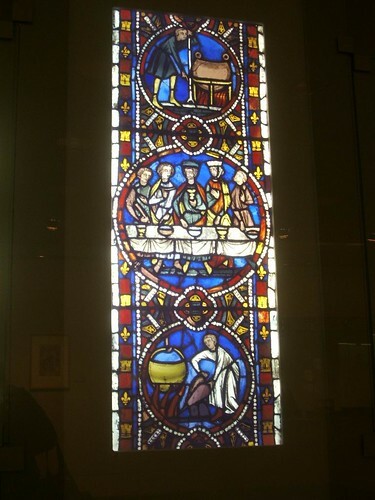 This isn’t actually stained glass, it’s just a representation of some stained glass at the Burrell Collection. Every time I look at the top piece the thing on the right looks like a giant frog to me. I’m sure it’s really something much more sensible. 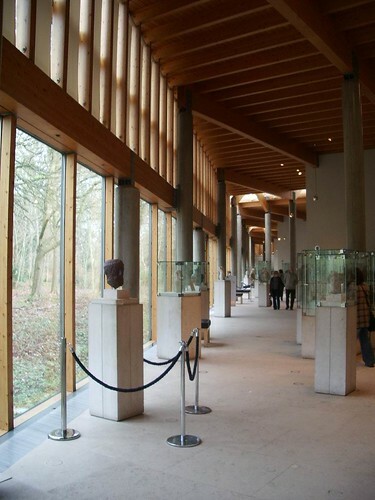 I haven’t shown a picture from the Burrell Collection for a while. One thing I really like about the building is the way they use natural light there.